As an imaging center, it is imperative that extended access with services is shared with the patients. Patients play a decisive role in the decisions of healthcare today with more ownership. Imaging center primarily serves as the front door for any health systems and hospitals. For improved access to patient care, a faster process of prior authorization is critical to imaging services. Improving the scheduling, process with prior authorization is of huge importance as it leads to maximizing satisfaction of the patients. The tedious approach with prior authorization for imaging centers often creates challenges and creates operational lapses. Reducing overall healthcare costs is going to be a crucial aspect and will have to do be attended at the earliest by the healthcare centers and an imaging center is no exception. It is true that obtaining prior authorization for the imaging centers is one of the major issues faced by most. There are a lot of imaging centers that already suffer from pitfalls in the process of prior authorization. The time of order as well as the exact time frame, there are various challenges with denials, delays and duplication of work. All of these can be a major challenge to better patient access. There are endless clinical exams, complex insurance prior authorization possibilities with federal state coverage. It is critical that you do not select just another company that offers services in prior authorization for imaging centers. It is imperative that you look for a perfect practice management partner that can improve the overall operational activities by performing task specific functions. Primarily from coding errors as well as collection of information which is incorrect, there are endless cases of authorization denials nowadays. 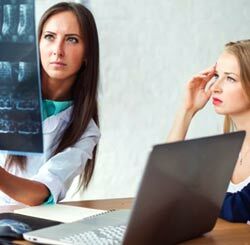 An ideal imaging center should have a streamlined operational activity in place; submit claims in the required format, punctually for receiving reimbursements as quickly as possible. Looking for more information Let us share with you, our success story. Enhance your prior authorization for imaging centers with our specialized intervention. We are just a call away!